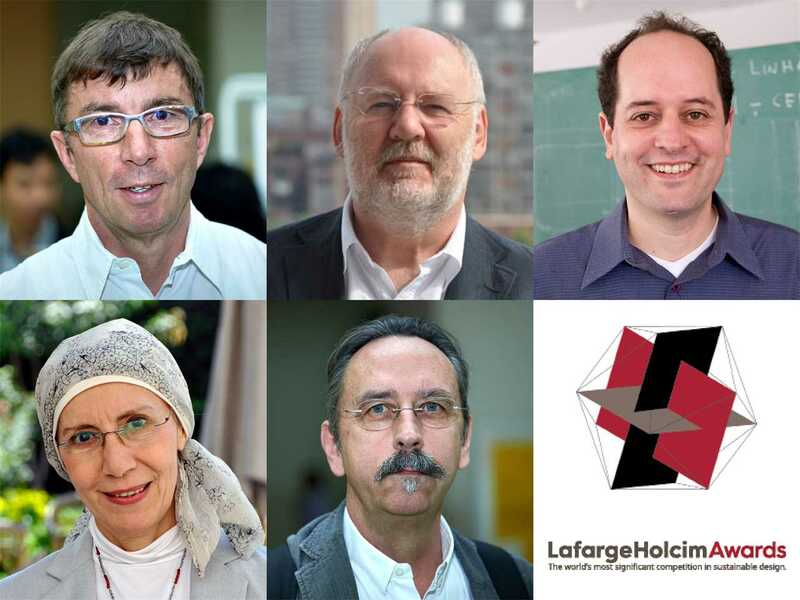 Heads of the regional LafargeHolcim Awards juries (top, l-r): Harry Gugger (Europe), Ray Cole (North America), Angelo Bucci (Latin America), and (lower, l-r): Nagwa Sherif (Middle East Africa), Donald Bates (Asia Pacific). The number of valid entries is 40% higher this year with 3,606 projects (2,514 in 2014) from 131 countries to be evaluated by the juries according to the location of the project. Although the overall number of submissions in the Awards was over 6,000 in the last two competition cycles, upgrades to the online entry form have significantly reduced duplicates and partial entries. Countries boasting entry numbers in triple figures are Indonesia (469), India (280), China (162), USA (148), France (127), Mexico (126), Nicaragua (124), Egypt (120), Russia (112), Colombia (106), El Salvador (106), and Algeria (102). 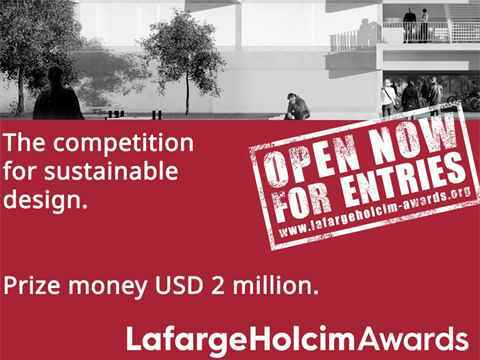 The 5th Awards competition is the first one involving countries that joined LafargeHolcim as part of the merger of the two entities to form the world’s leading building materials and solutions company. This boosted the response to the competition, especially in Middle East Africa with countries contributing far more entries than ever before. 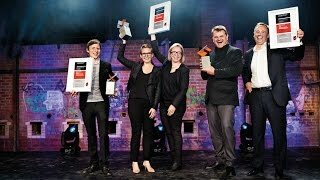 Thanks to the support of the Partner Universities, Ambassadors and LafargeHolcim Coordinators of the Awards, the competition also fostered excellent results in other regions: with pronounced growth in entries from El Salvador, Poland, Slovenia, and the United Kingdom. A considerable increase in submissions also occurred in the Czech Republic, Ecuador, France, Germany, Indonesia, the Netherlands, Nicaragua, Morocco, Russia, Serbia, Spain, and Switzerland.